The Alcatel 1X may be cheap, but its poor performance is not worth the savings. Getting a good phone for a bargain price isn’t hard anymore. In 2018, we’ve continued to see a glut of great lower-priced smartphones, with the Nokia 6.1, Honor 7X, and Moto G6 leading the charge. But while we know compromises have to be made for these devices, phones that cost $100 or less still aren’t good enough for us to confidently recommend. That’s where Google’s Android Go initiative comes in. It’s a smaller version of the Android operating system that has been designed to run efficiently on low-power devices — specifically phones with just 1GB of RAM or less — and it doesn’t consume as much data as standard Android. 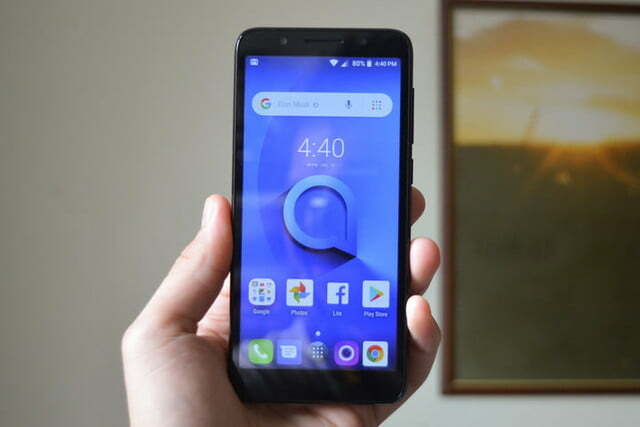 These phones are meant to cost under $100, and our first look at this modified OS is through the Alcatel 1X from TCL Communication. But after a week with the phone, it’s clear that Android Go isn’t enough to offer the “high-quality experience” Google wants to bring to budget phones. The low-end hardware in the Alcatel 1X makes it frustrating and a chore to use — despite the low price and long-lasting battery. Your first impressions of the Alcatel 1X are likely to be positive. It looks like any average phone — the design doesn’t stand out too much — and while back and sides may be plastic, it doesn’t feel too cheap thanks to the soft-touch finish. It’s the Dark Gray Suede model we have, and that soft-touch back does make the phone pleasant to touch. 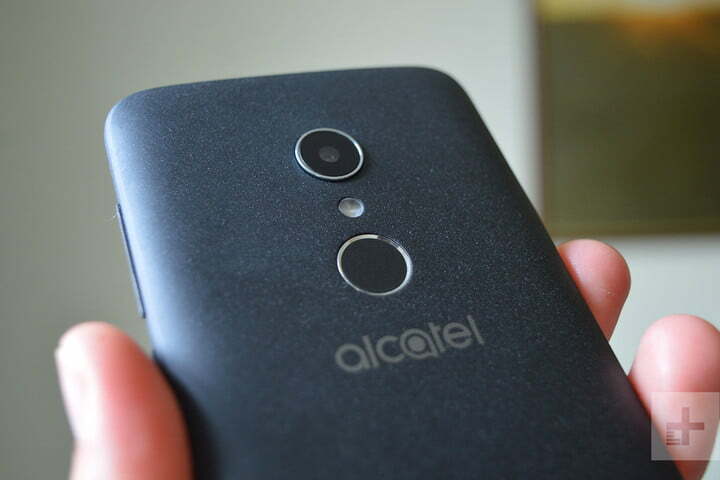 The single-camera lens, flash, and fingerprint scanner are arranged vertically with the Alcatel logo underneath. The 8-megapixel camera protrudes slightly from the back of the phone, but it’s almost impossible to notice. The 1X isn’t too lightweight, coming in at 151 grams, and it feels remarkably solid for a $100 phone. There’s not much that stands out on the front. An earpiece speaker and front-facing camera sit at the top, and the 5.3-inch display is surrounded by chunky bezels. 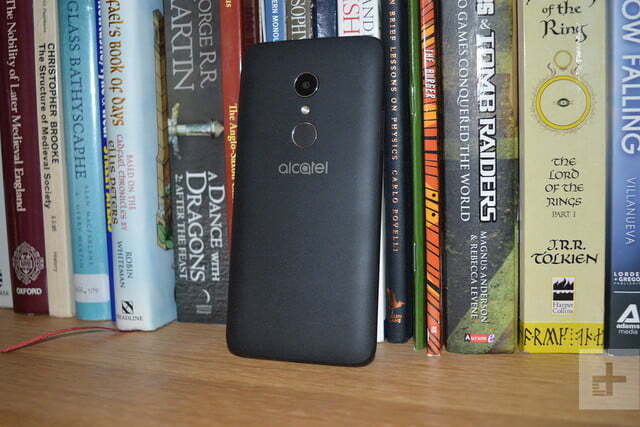 Your first impressions of the Alcatel 1X are likely to be positive. 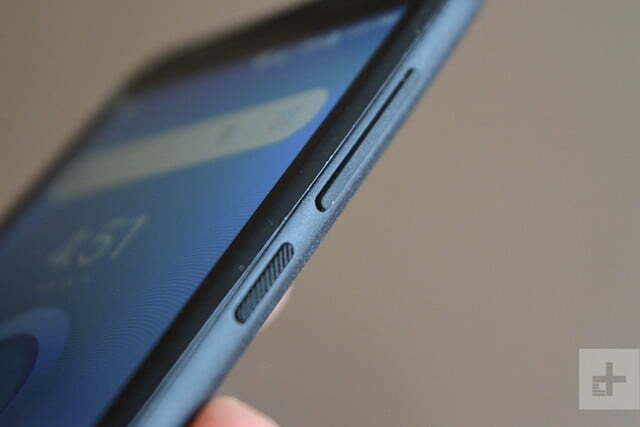 The volume rocker and power button are on the right edge of the phone. The buttons have a rubberized coating, and we were especially happy with the textured power button, which made finding the right button so much easier. 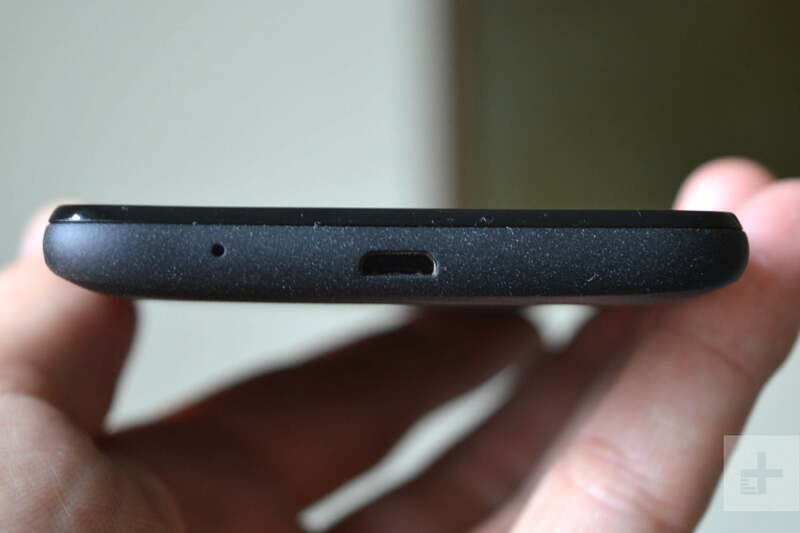 On the bottom edge is a MicroUSB port for charging. The lack of a USB Type-C port is disappointing, but it’s not unsurprising at this price — even Motorola’s Moto E5 series use MicroUSB charging ports. Thankfully, there still is a 3.5mm headphone jack at the top. The display is a moderately sized 5.3-inch IPS LCD running a 960 x 480 resolution in an 18:9 aspect ratio. We’d have liked to see an HD display here; the similarly-priced LG Fortune 2 and Moto E5 Play come with 720p displays. The Alcatel 1X’s 480p screen — while colorful — isn’t anywhere near as sharp as its competitors. The max brightness is also extremely dim, as it is extremely hard to see the screen while outdoors in direct sunlight. Audio is similarly disappointing. The only speaker is the front-facing earpiece, and it simply isn’t loud enough to serve by itself. Calls sound tinny, and the speaker often hit its noise threshold. Oddly, we found music played through the 3.5mm headphone jack is quieter than other phones too. 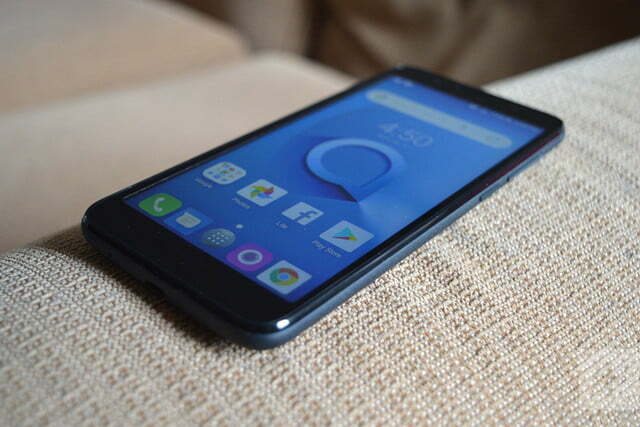 The Alcatel 1X looks and feels decent for the price, but the screen and audio are mediocre. The Alcatel 1X is powered by a quad-core Mediatek MT6739 processor with 1GB of RAM, and these meager specs really drag the phone down. Performance is poor, and the phone chugs during day-to-day tasks like checking emails, social media, and watching videos. Storage space isn’t great either, with only 16GB available — but that can be boosted up to 32GB thanks to the MicroSD card slot. We tried to benchmark the 1X, but it was only able to handle one of our usual three benchmarking apps. Geekbench 4 CPU: Single-core 571; multi-core 1,389. That’s the lowest score we’ve recorded in 2018, and only the Moto E5 Plus comes close with a single-core score of 641. Our Alcatel 1X slowed down considerably when swapping between apps, and the fingerprint scanner also saw a decrease in unlocking speed a day or two into our testing. The phone handled Plants vs. Zombies Free well, but it couldn’t handle more advanced games like PUBG: Mobile or Hearthstone, with both apps refusing to run due to the weak specs. Mobile gamers on a budget should definitely look at spending more money on a phone with better specs, like the Nokia 6.1. 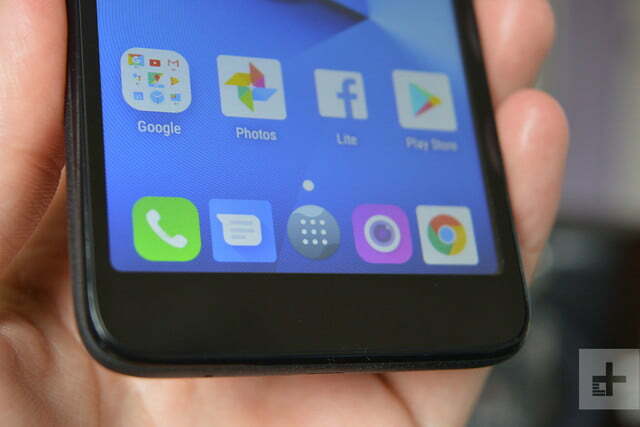 The Alcatel 1X runs Android Go Oreo Edition, Google’s stripped down, lightweight version of the Android made for entry-level phones in developing markets where phones are expensive and mobile data is expensive. 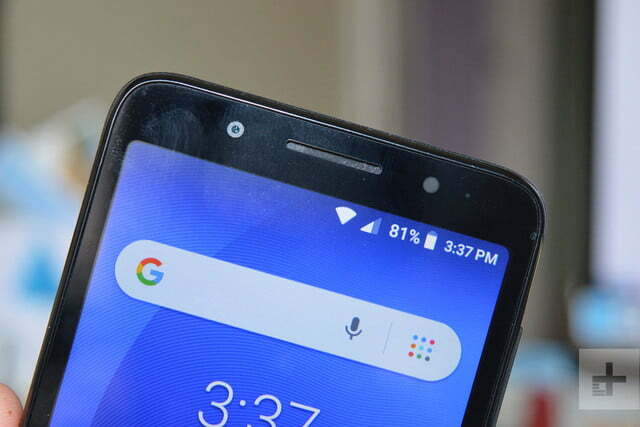 For that reason, phones running Android Go are restricted to a maximum of 1GB of RAM, with the advantage that the software is tuned to perform better on lower specifications. 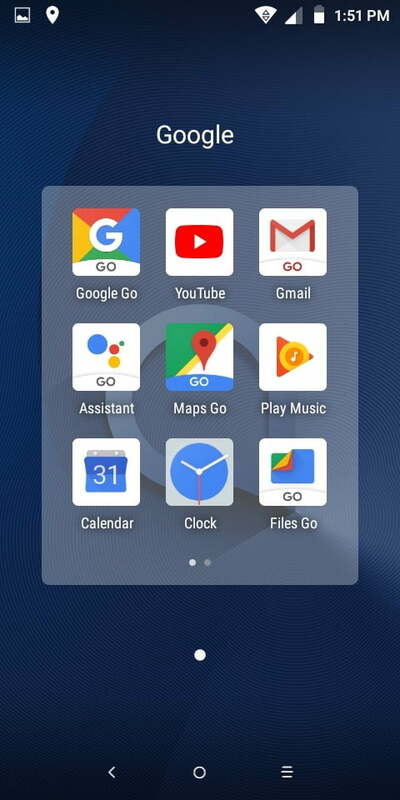 Android Go phones also come pre-loaded with a suite of “Go” apps. The usual Google apps installed on most Android phones have been swapped out for the “Go” versions of the same apps, and like Android Go, these apps have been specially tuned to use less resources and take up less storage space. Maps Go is an utter disaster, being all but impossible to use thanks to lag and stuttering. Unfortunately, some of the suite isn’t implemented well on the Alcatel 1X. Gmail Go, Google Go, and Assistant Go work well enough that you’d be hard-pressed to tell them from the usual versions — but Maps Go is an utter disaster, being all but impossible to use thanks to lag and stuttering. Gboard, while not “Gboard Go”, is also extremely slow, and the resulting lag makes typing or gesture typing frustrating. 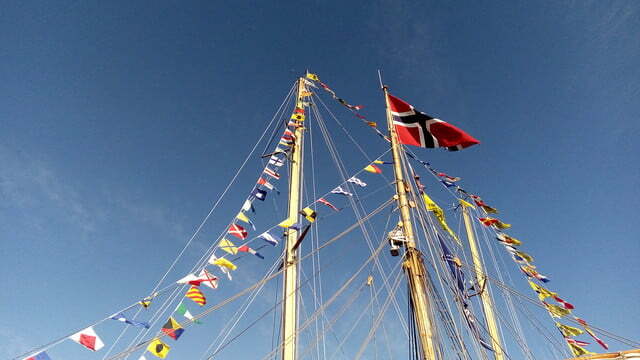 Surprisingly, it’s the non-Google apps that work the best. While there are some speed issues when swapping between chat threads, Facebook Messenger Lite works well, and Facebook Lite is one of the highlights with smooth and snappy performance most of the time. Even non-lite apps like Twitter work well enough on the 1X, despite the delay in opening the app. (There is a Twitter Lite app you can download as well). Android Go is also ruthless on background apps, and the standby intelligent power saving mode will strike down apps it thinks aren’t needed any more. That sounds good, but it’s not as clever as it thinks, as it closed apps like Pocket Casts while we were still listening. Thankfully you can turn the option off in the Battery menu, but since it’s on by default, some people may simply live with the frustration, unaware of the cause. Other issues aren’t as easy to fix. Disconnecting from a Bluetooth device sometimes disabled the Wi-Fi connection for no reason, wasting valuable mobile data, and often refusing to work again without a full restart. 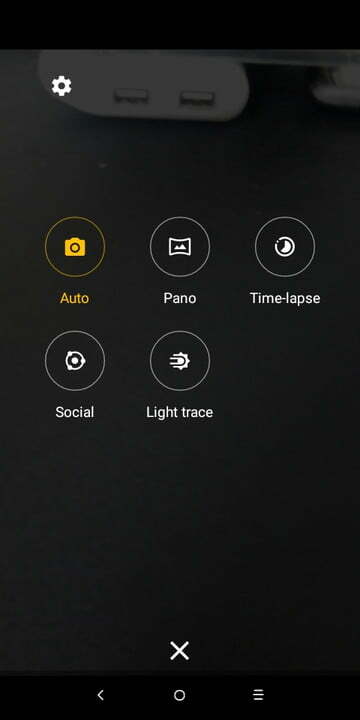 God help you if you also try to use Android’s quick camera shortcut. Double-tapping the power button to open the camera is now a common option on Android phones, and the Alcatel 1X supports it — in theory. In practice, double-tapping the power button causes the phone to vibrate and then hang, displaying a black screen with the navigation bar at the bottom. 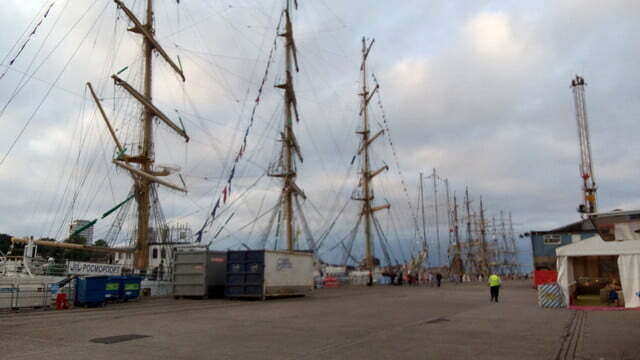 It’s embarrassingly bad. 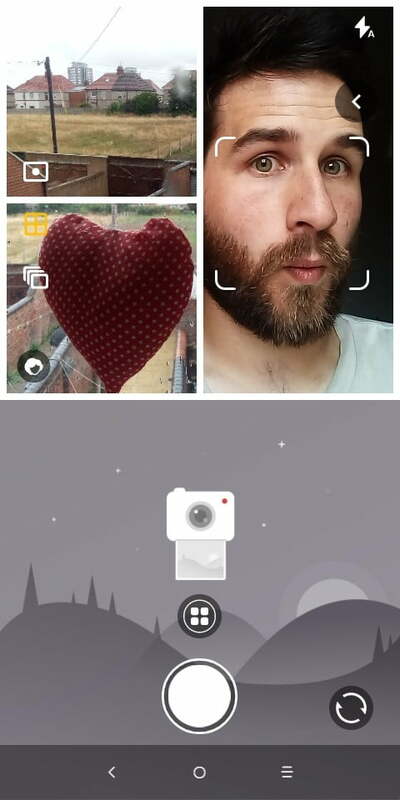 God help you if you try to use Android’s quick camera shortcut. Notifications are also spotty. Opening an app like Facebook Lite or Messenger Lite often triggered a “catch-up” period, during which time the phone buzzes and pings as notifications come in one-by-one. If your chats have had a particularly busy day, expect this catch-up to take minutes, leaving you waiting. Android Go is not like Android One — manufacturers do not need to issue timely updates. 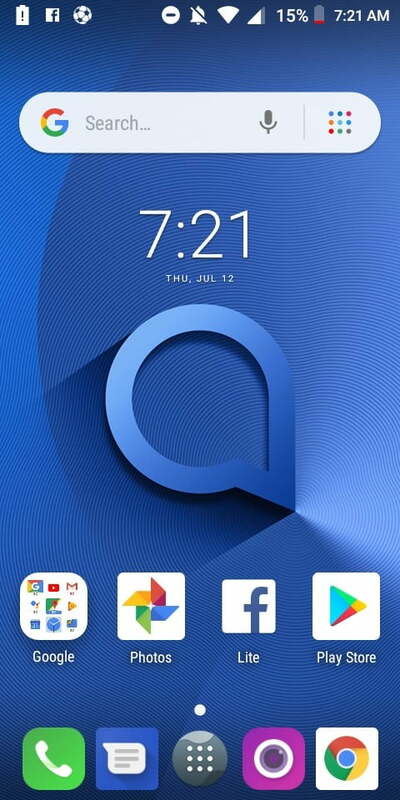 Our Alcatel 1X is still stuck on the May security patch, and it’s unclear if this device will ever receive the upcoming Android P update. The weakest part of a budget phone historically is its camera. The Alcatel 1X doesn’t change this fact, and it’s all due to some serious shutter lag. The hardware is average. There are two camera lenses on the Alcatel 1X — an 8-megapixel lens on the back, and a 5-megapixel selfie shooter around the front. It takes decent photos in good lighting, and it may surprise you from time-to-time with some shots. 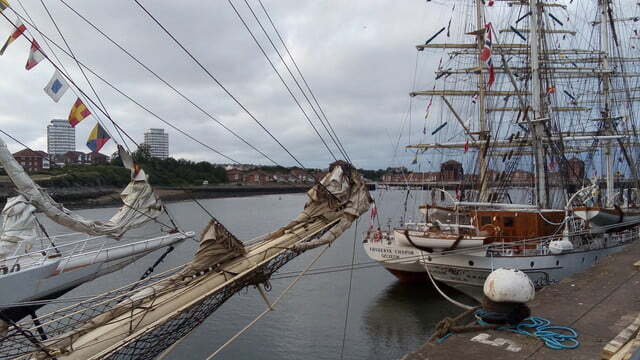 The camera does have some issues with focus, as it often refused to focus on the obvious points of interest, focusing somewhere else entirely. 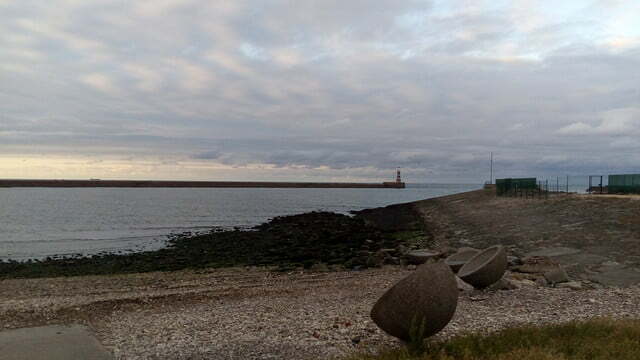 As soon as light dips, photo quality goes right down the gutter. 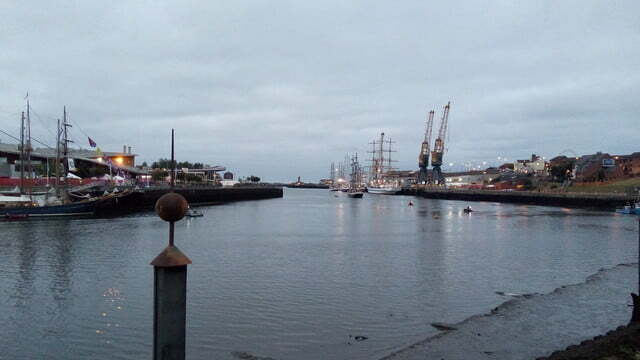 But as soon as light dips, photo quality goes right down the gutter. The f/2.0 aperture really struggles in lower lighting, and it’s often not worth getting the camera out for anything but bright sunlight. 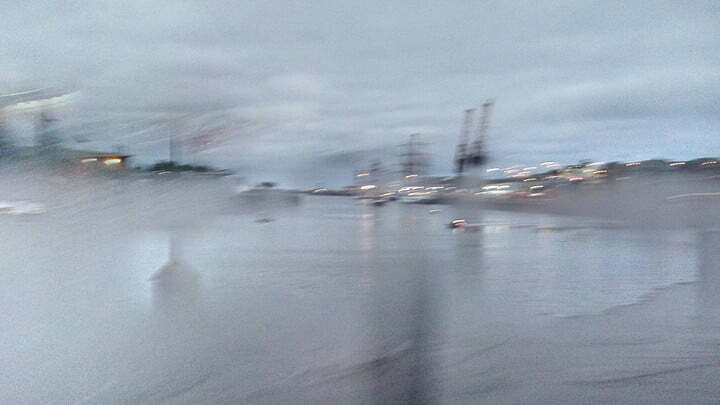 This is exacerbated by the large delay between tapping the camera button and the shutter actually engaging. The shutter lag means you simply can’t take photos quickly — they end up as blurry messes, so there’s no point in trying to take any kind of action shot. If you take your time and are aware of lighting, then you’ll get some decent shots, but this is hardly a phone for shutterbugs. The Alcatel 1X comes with a 2,460mAh battery, and while that may not sound like a lot, you can typically get more than a day out of it, depending on usage. After coming off the charger at 7 a.m., with medium usage including music streaming, using the camera, placing calls, and browsing social media, the phone dropped to 40 percent by 7 p.m.. A day with light use saw the Alcatel 1X drop a third of a the battery in 12 hours — so two days with infrequent use is definitely possible. There’s no wireless charging, which shouldn’t be a surprise given this phone’s price, but there’s also no fast charging either. Charging from 15 percent to full took more than two and half hours, which is painfully slow. The Alcatel 1X costs around $100, and you can pick it up from Best Buy, Walmart, and Amazon. It will work on AT&T and T-Mobile’s networks, but not on Sprint or Verizon. Alcatel offers a standard one-year warranty that protects the phone from manufacturing defects. Yes. It’s difficult to recommend phones at the extreme budget end of the market because so many of them share similar faults. The LG Fortune 2 costs around the same as the Alcatel 1X and delivers decent performance, but it only works on Cricket Wireless. Go a little higher though and there’s plenty of better choice. For $200, you can pick up the Moto G6 Play or the extremely solid Honor 7X. For the real cream of the budget crop, the Nokia 6.1 is everything you want in a bargain phone, and comes in at $270. The Moto G6 at $250 is also a phone that should be considered. You can learn more in our best cheap phones guide. We don’t expect this phone to receive many updates — if any — and the performance and battery will likely just degrade the longer you use it. You will likely only be able to deal with this painfully slow phone for about a year. There’s no water resistance, but the plastic build should mean it won’t break as easily as all-glass phones. No. 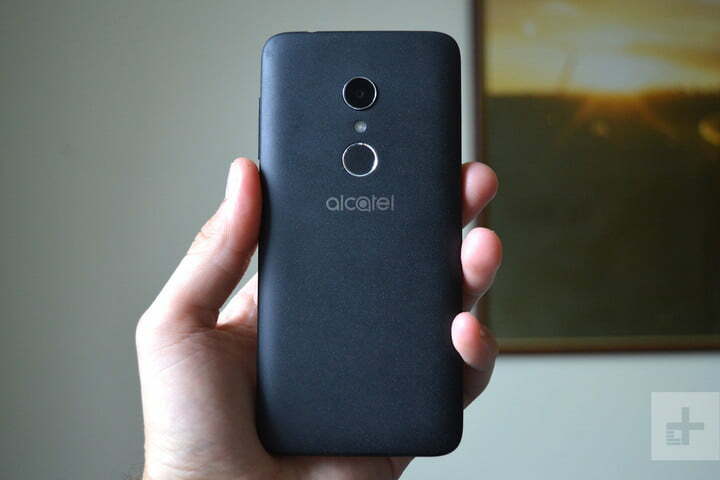 The Alcatel 1X may look nice for the price, but it’s just too darn slow. Save up a little extra and splash out on a Nokia 6.1 or Honor 7X.